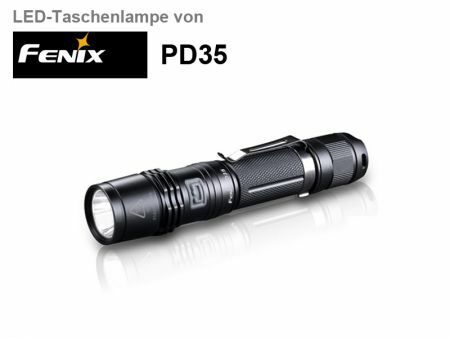 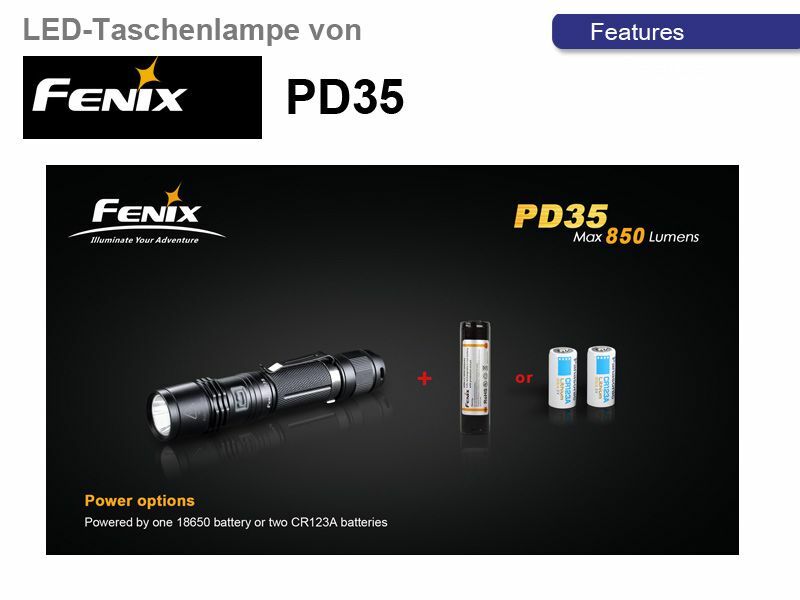 The Fenix ​​PD35 is a handy and very bright flashlight. The on or off by a rubber switch is on the rear end. 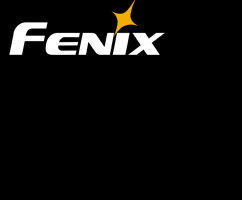 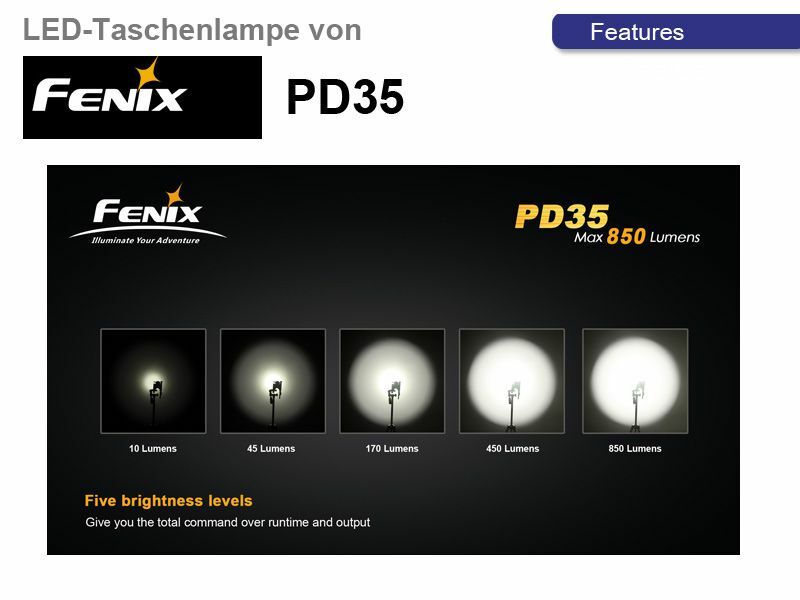 The Fenix ​​PD35 has five different brightness levels and a strobe. 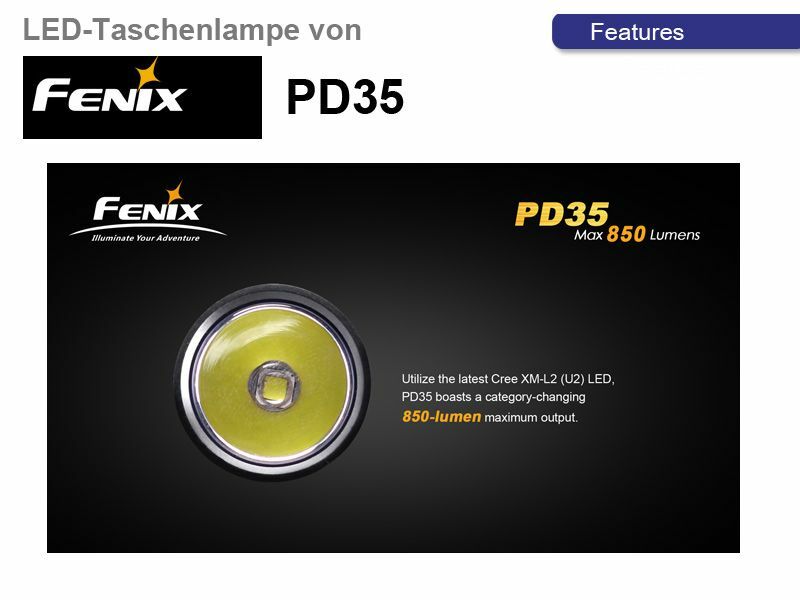 These six modes are easily controlled with one hand, by a button on the front end. 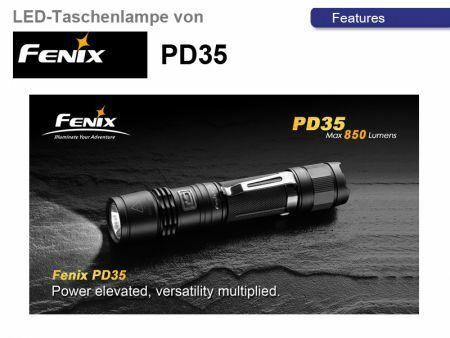 Thanks to the compact design and light weight, the Fenix ​​PD35 fits into any trouser pocket and is equally suited for studio and outdoor use. 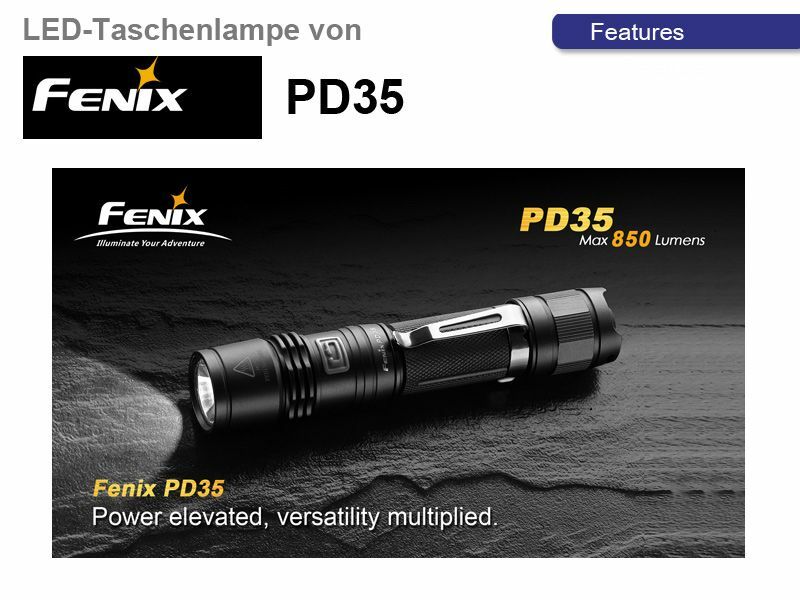 The flashlight remembers the last light level and switches with this one again.